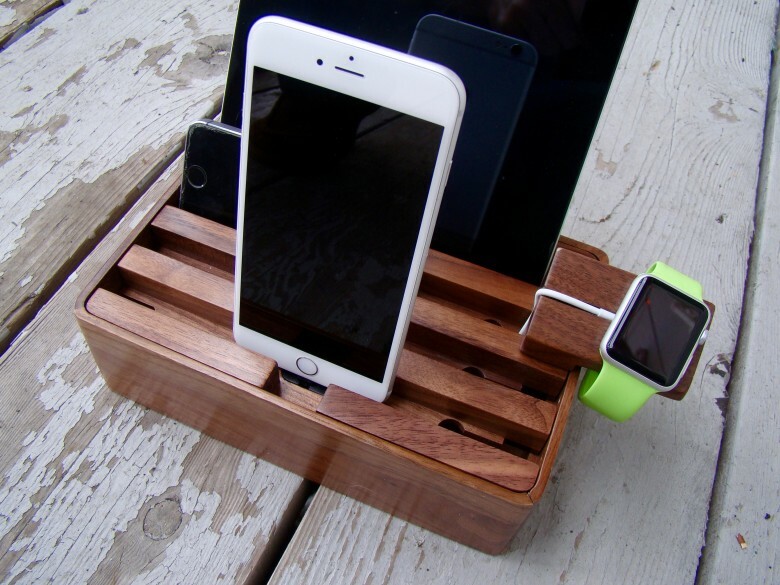 The walnut AllDock I tested is a medium-size charging station, which means it’s got enough capacity to charge up to four devices at once via the little USB power hub hidden discretely inside. There’s an adorable little Apple Watch charging addition that slips right into the top of the AllDock, letting me pop in my power charger and dock my Watch there every night when I go to bed. I typically have my iPad, iPhone and Apple Watch set and ready, but also have another Lightning cable plugged in to charge up one of my kids’ devices (if they can bear to part with it). The AllDock is super-easy to set up, comes with internal charging attachments to minimize cable clutter, and will look good no matter where you set it. Cult of Mac’s Best List is a roundup of products that keep us loving the nightlife. Read more Best List mini reviews.